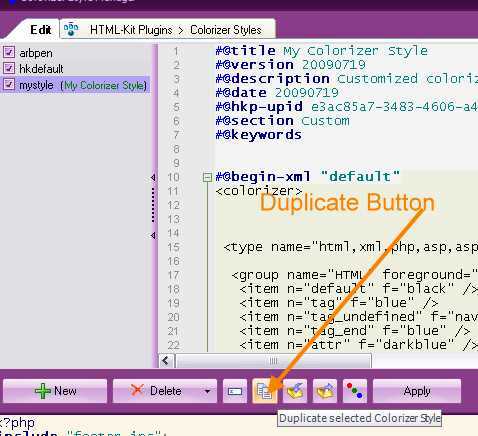 Do you have HTML-Kit Tools and want to change the colorizer for the way you want to work? Personally, I like my comments to be red on yellow. That way I can see clearly that it is a comment and not some bit of code. Good news! It's easy to do. There is also a translation of Edit Colorizer Styles in Dutch by Gerard Schaefers available. Get Read to Make Changes! 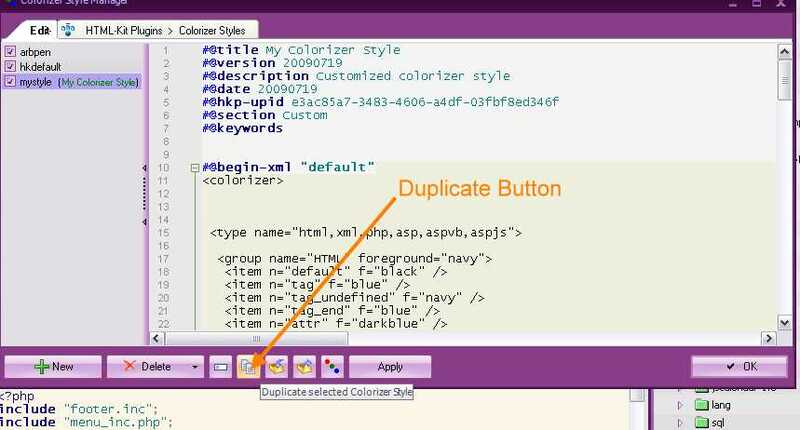 Before you start coding, it's a good idea to make a copy of MyStyle. That way, if you make a mistake you can always switch it back. When I made mine, I called it Arbpen. Don't be confused when you see the XML coding. 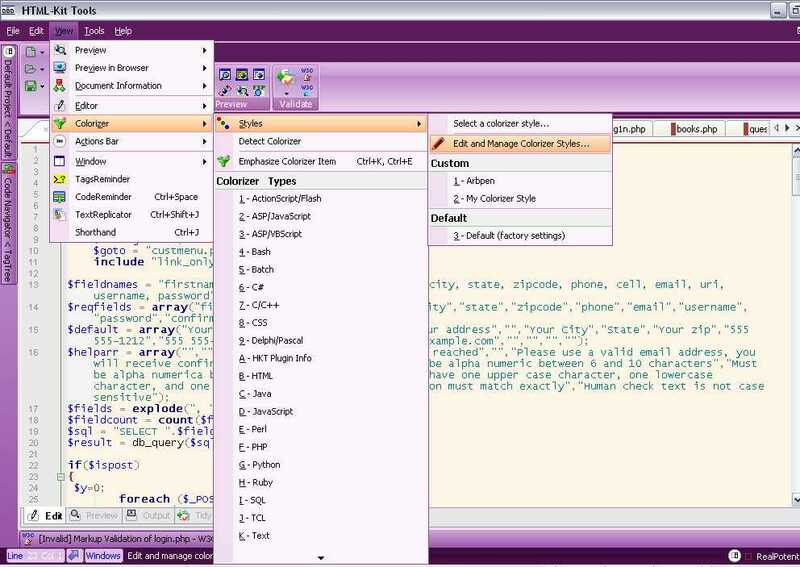 This is XML that you are editing, so it has to be well formed. The means that all the attributes are in lower case, and the tag has to end with /> a forward slash and an ending greater than sign. Scroll down to the type of colorizer you want to change. The first is HTML. 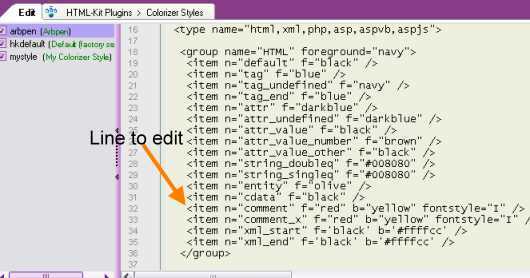 The XML elements are COLORIZER, TYPE, GROUP and ITEM. 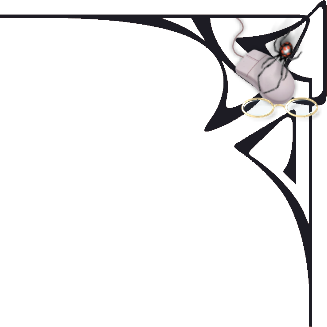 Notice that the item element has a few attributes, n, f, b, and fontstyle. The n is for the type of thing you want to change. The f is for foreground. You can use the Color Picker to view a colors, and make a note of it. 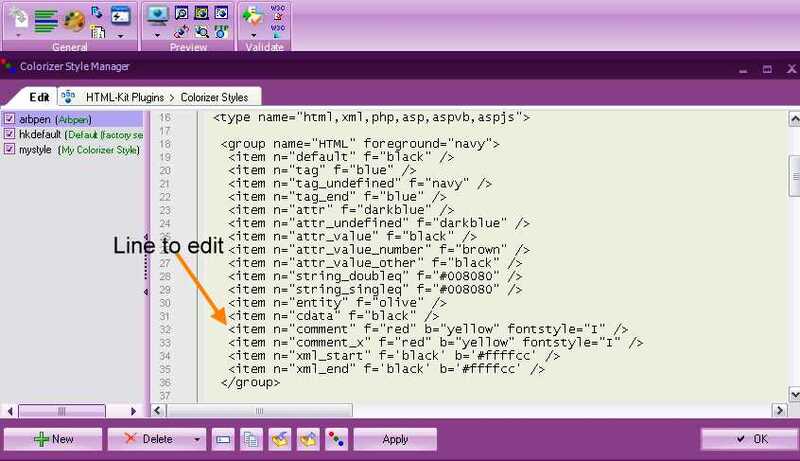 You cannot use the Color Picker while using the editor. The b is for background. Make sure there is enough contrast so you can see it. You want to look for the item element with the attribute n="comment". Change the colors to suit. I chose red #ff0000 on yellow #ffff00 with font style of italic. To save your colorizer style, click on Apply and OK to close the editor. Well, there you are. Happy coding!